The active ingredients in the cream with biogold, have a pronounced lifting effect, stimulate the production of collagen and elastin in the lower layers of the skin. 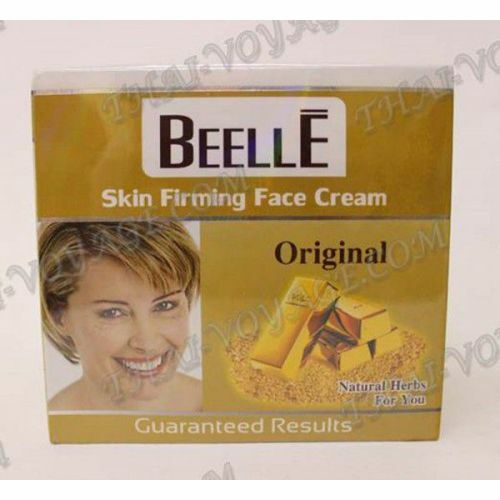 With regular use of the cream makes the skin more elastic, toned and elastic, reducing and smoothing fine lines. Biogold has a unique feature to enhance the beneficial properties of the active components of the cream and promotes the most rapid and deep penetration into the skin, stimulates cellular regeneration processes, improves firmness and elasticity, slows the aging process, helps to preserve moisture in the skin. Application: Apply a small amount to clean skin morning and evening. Composition of the product Deionized water; Witch hazel; Glycerine; Butylene glycol; Carbomer; PEG-40; Hydrogeneted castor oil; Fragrance; Vitamin E; Acetate; Aloe barbadensis; Vitamin B3; D-Panthenol ; Vitamin B5; Sodium hyaluronate; Triethanolamine; Ethylhexylglycerin; Collagen; Salicylic acid.